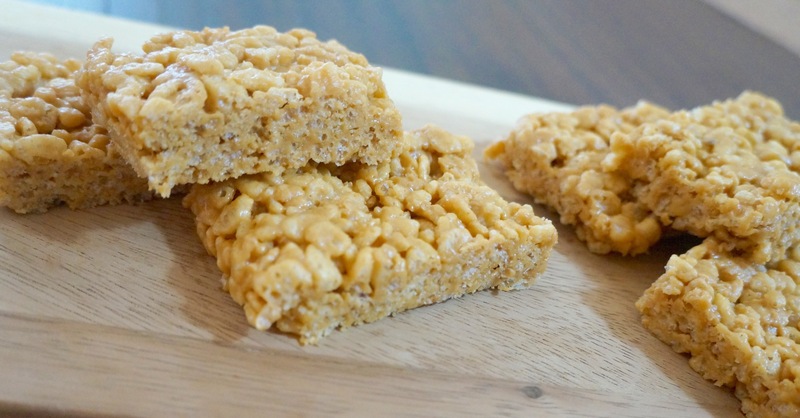 Peanut Butter and Honey Rice Crispy Treats!! 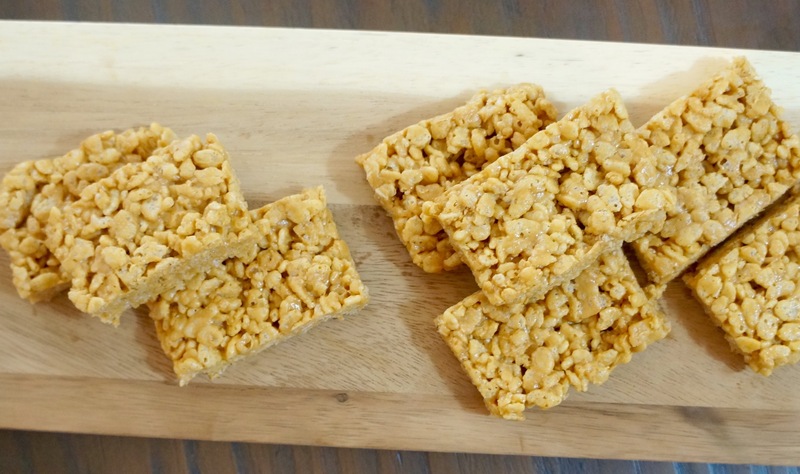 12 Aug Peanut Butter and Honey Rice Crispy Treats!! The summer is almost over and I was in the mood for a sweet treat and I had some Rice Krispies in my pantry but no marshmallows. I wanted to make them healthier anyway so I decided to replace the marshmallows part of this recipe with organic peanut butter and organic honey! 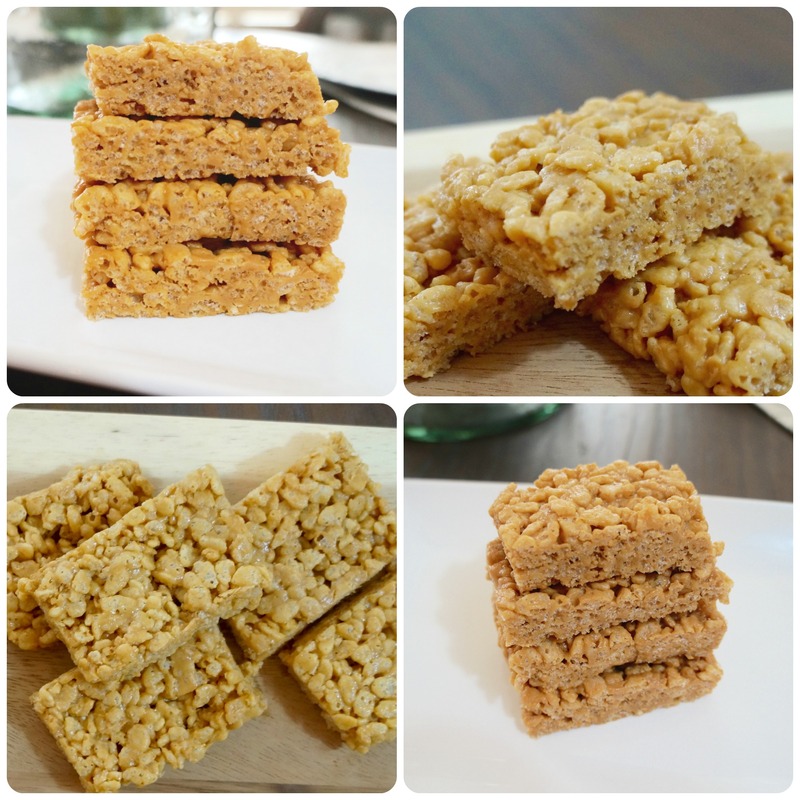 This recipe uses natural sugars and the flavors are so delicious! Here is what I did and what you need to make them! So easy…. just add the peanut butter and honey to a large pot and heat and stir until they melt together . 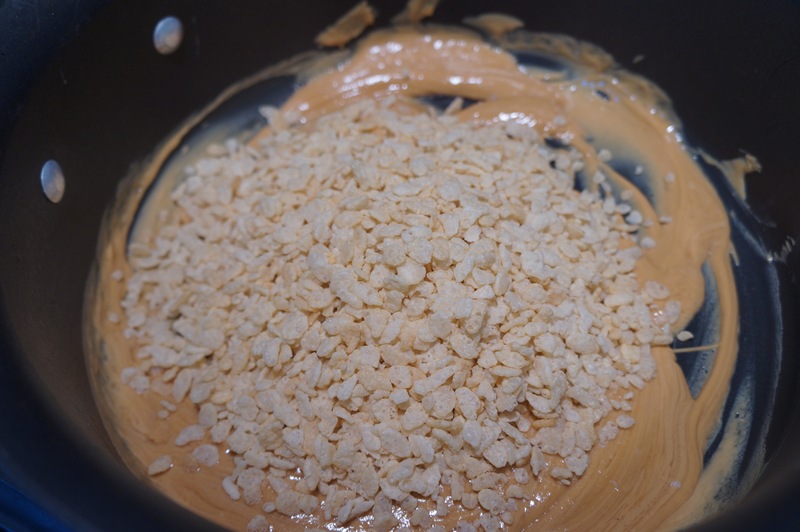 Then turn off the heat and add the Rice Krispies and stir to coat with a plastic baking spatula. 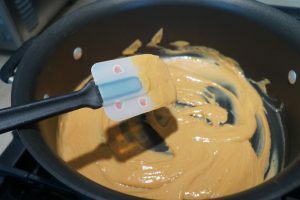 Next, spray the cooking spray on the bottom of a baking dish and add the mixture in and press down evenly. 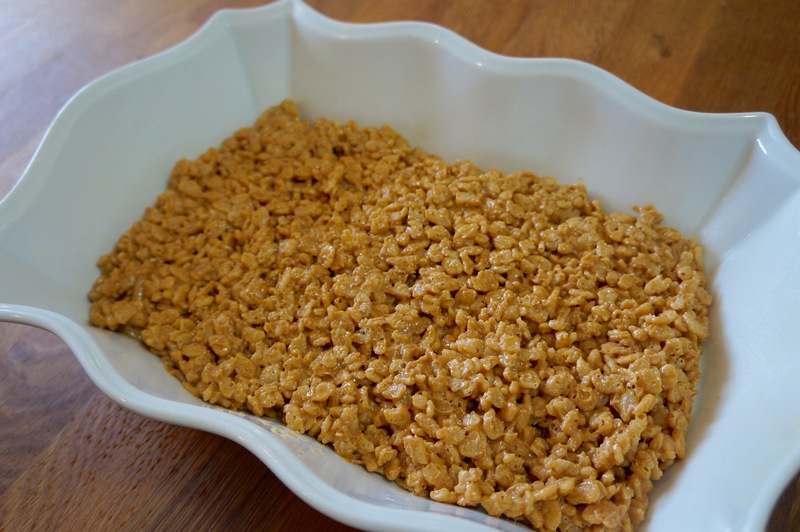 You can also use a piece of parchment paper to press it down. 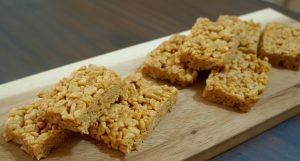 Let it set about 30 minutes and then with a sharp knife cut them into squares and enjoy!!! !